Canada is one of the wealthiest nations in the world with a nominal gross domestic product of $1.65 trillion in 2017. While the service industry dominates its economy, the country's extensive natural resources drive its exports. These factors have helped make Canada one of the premier global investment destinations, particularly for U.S. investors. Investors can purchase Canadian stocks and bonds in a few different ways. Canadian stocks and bonds can be purchased directly on the Toronto Stock Exchange (TSX), the Canadian Securities Exchange (CSE, formerly the Canadian National Stock Exchange), or on other Canadian stock exchanges. Alternatively, investors can easily gain exposure to Canadian stocks and bonds through exchange-traded funds (ETFs) or American depositary receipts (ADRs) on U.S. exchanges. In this article, we will take a look at the benefits and risks of investing in Canada and how U.S.-based investors can build exposure in their portfolios. Canada is considered to be one of the safest countries in the world, with a strong natural resource base, stable monetary policy, robust polity, and a low budget deficit. But investors should be aware of the country's strong ties to the U.S. that can mitigate the beneficial effects of diversification. And the country's natural resources sector makes it susceptible to often-volatile commodity price movements. Strong Natural Resources - Canada has an extensive natural resource base that ranges from precious metals to crude oil. This has helped it avoid many of the problems faced by other developed countries that are net energy importers. Stable Inflation Rates - Canada has a very stable rate of inflation, unlike many emerging markets, despite its enormous natural resource base. This is partially due to its tighter monetary policy with target interest rates of 2 percent and more conservative bailout policies. Low Budget Deficit - Canada's budget deficit was just 2.1 percent compared to around 9.8 percent in the United States in 2010. In 2018, Canada even was able to post a budget surplus of 0.8 percent in the first half of the year (while the U.S. deficit remained around 4 percent of GDP for the same period). This also compares quite favorably with many European and Asian countries. This means a more manageable long-term outlook and fiscal stability. Exposure to the United States - Canada's economy is strongly correlated to that of the U.S. as its largest trading partner, according to the U.S. Census Bureau. This means that the country may not offer as much diversification for U.S. investors as other markets. Recent trade conflicts with the United States including tariffs on agricultural and dairy products did produce some concern, although a replacement for the NAFTA free trade agreement seems to have worked many things out, with the revised USMCA agreement. Reliance on Commodity Prices - Canada's economy derives a lot of its strength from commodities with its enormous natural resource base. This means that its economy may be susceptible to swings based on often-volatile commodity prices. The easiest way to invest in Canada is through U.S.-listed Canadian ETFs and ADRs. Canadian ETFs enable investors to buy a single security that gives them exposure to hundreds of stocks. These ETFs can track the entire Canadian economy or specific industries. Conversely, ADRs give investors the ability to buy into individual Canadian companies without the hassle of transacting on foreign stock exchanges. Investors with a more hands-on approach and purchase Canadian stocks and bonds directly through the Toronto Stock Exchange, Canadian Securities Exchange, or other Canadian stock exchanges. 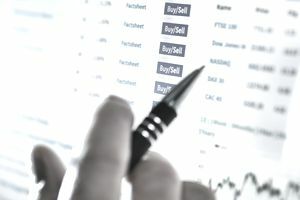 Some U.S. stock exchanges like E*Trade support trading on the TSX and TSXV exchanges, but other U.S. brokerage houses may not support such functionality. Most of the largest companies trading in Canada are listed in the S&P/TSX 60 Index, while up-and-coming companies are listed on the TSX Venture 50 Index. As a result, investors looking for a good starting point when investing in Canadian stocks may want to browse through these companies first. However, many junior mining companies are also popular among international investors. Investors taking this route should be aware of the legal and tax implications. The capital gains and income taxes rates for investments in Canada may differ from those in the United States. Investors should talk to their financial advisor or an investment professional to determine the extent of these differences and how to handle foreign taxes. Canada offers investors an attractive opportunity to invest in a robust economy with extensive natural resources. Those interested in adding Canadian exposure to their portfolios can do so with ETFs, ADRs, or direct foreign investments using most popular brokerage accounts. Investors should carefully consider the benefits and risks of each approach before committing capital since there are several important factors to take into account.